The Case Logic LoDo Large Backpack is well constructed with protective storage for a laptop and tablet. The backpack weighs 1.76 pounds making it ideal for daily use. However, the $100 price may be a drawback for the budget conscious consumer. Case Logic is marketing this as a stylish, contemporary designed backpack for work, school or travel. 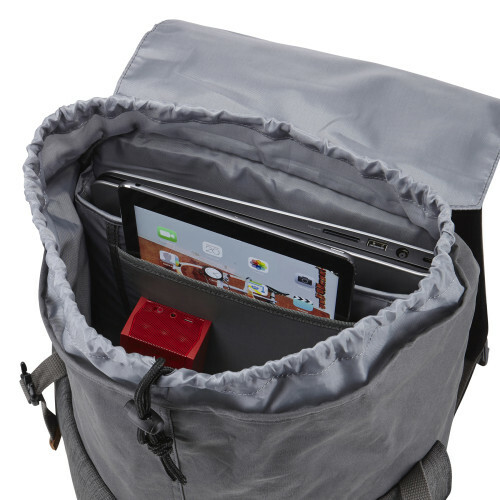 This large backpack can hold a laptop with a display size up to 15.6 inches. It easily accommodated my 15-inch retina MacBook Pro and iPhone. The laptop pocket is padded for protection. There is a tablet pocket that can store a 10.1 inch tablet and a zippered phone compartment. Another zipper compartment is provided to store pens, pencils and other items. 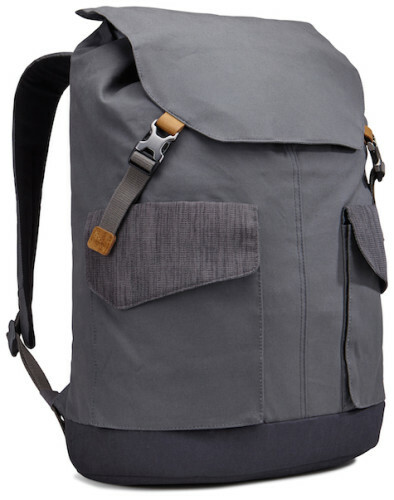 The cotton canvas exterior is responsible for the light weight of the 1.76 pounds backpack. This is ideal since a 15-inch laptop and other electronics could add significant weight. The external pockets have magnetic snap-closures that will ensure the safety of stored accessories with a hook for keys in one of the pockets. The internal compartment has a draw string to allow easy access and prevent items from falling out. Case Logic’s 25 year warranty is a testament to their confidence in the construction of this product. The warranty guarantees quality of the backpack when put to its intended use. Leather touch points ensure durability of areas that will get manipulated such as zippers, clasps, and adjustable straps. 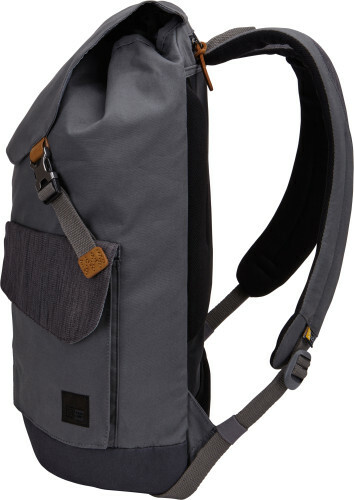 Since moving from a MacBook Air to a MacBook Pro, I have struggled to find a backpack that is functional, yet not add too much weight to the gear I normally carry. After using this backpack for the last couple of days, I found the 1.76 pounds was not too heavy with the additional weight of a laptop and other gear. I am thoroughly pleased that I can comfortably carry my 15-inch MacBook Pro, and normal gear of iPhone, power adapters, and a school book or two. Not having too many compartments and pockets, in my opinion, simplified organization. You know where your items are without having to search every pocket or compartment in the backpack. The shoulder straps were comfortable but as usual for me the grab handle was uncomfortable when carrying the fully loaded backpack. The $100 price for the Case Logic LoDo Large Backpack is worth it for its warrantied quality construction. I have a graveyard of backpacks with worn straps, zippers and clasps that no longer close. The LoDo backpack has now been elevated to my daily use bag and I also plan to use it on my next trip.